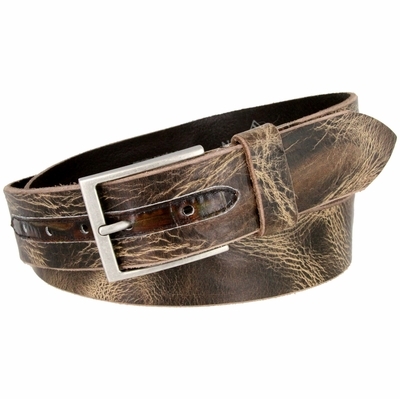 14302 Lejon Italian Saddle Distressed Style Leather Casual Dress Belt. Stitched Alligator Embossed Leather on top of the 5 adjustment holes. Stitched Stylish Antiqued Nickel Plated Buckle and a Matching Leather Keeper.